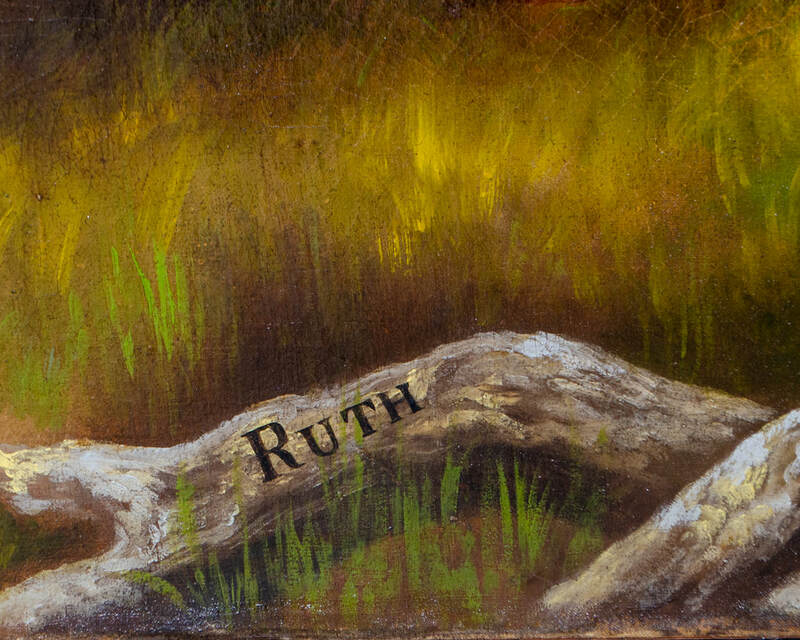 For Robert Moore (b. before 1816-1894). 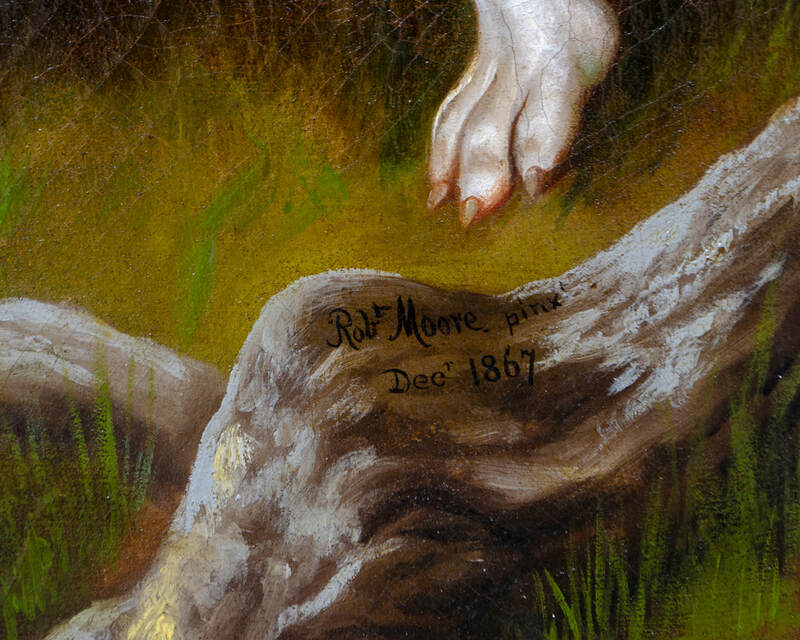 Robert Moore resided in Winchester, Clark County Kentucky by the mid-1850’s. 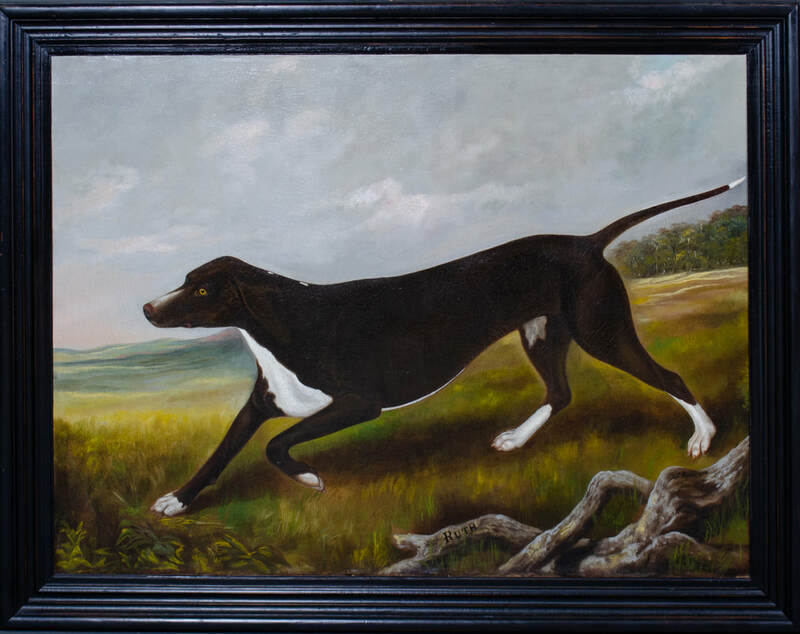 He placed ad in local newspaper The National Union advertising his services as a portrait and animal painter. 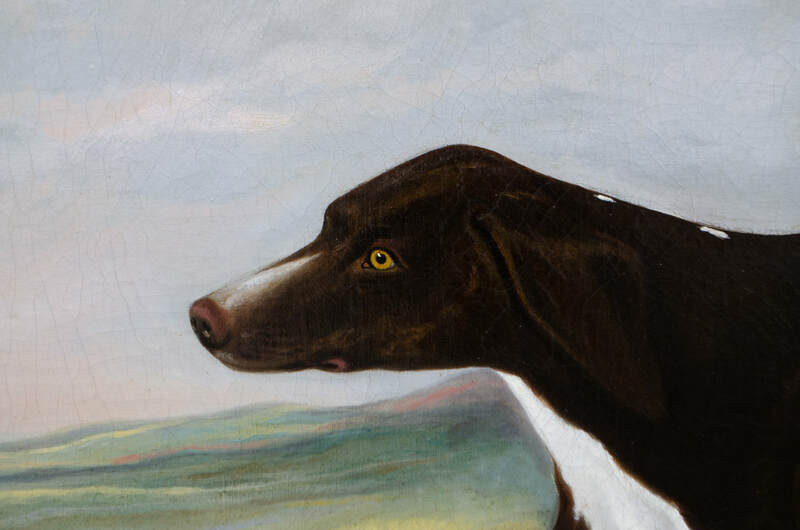 The family who commissioned this portrait of Ruth is not yet known, but Moore has sympathetically portrayed Ruth in a horizontal orientation against a flat background, a trademark of his animal portraiture.